If you miss this month’s once in a century Super Blue Blood Double Wolf Moon, don’t worry. You may rest assured that the once in a millennium Ultra Eye of Sauron Apocalypse Moon coming next month will more than make up for it. 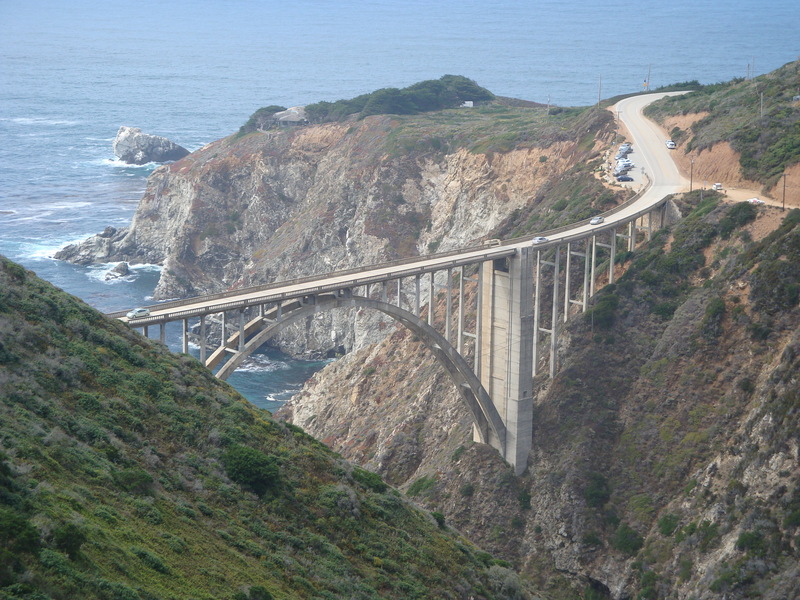 The California Highway Department has finally released its long-awaited management plan for Highway One in Big Sur. Key issues identified by state planners include increasing levels of traffic brought on by relentless promotion of the area as a vacation destination and the social media-induced tendency of visitors to gather in large numbers at a few highly congested and overused attractions. 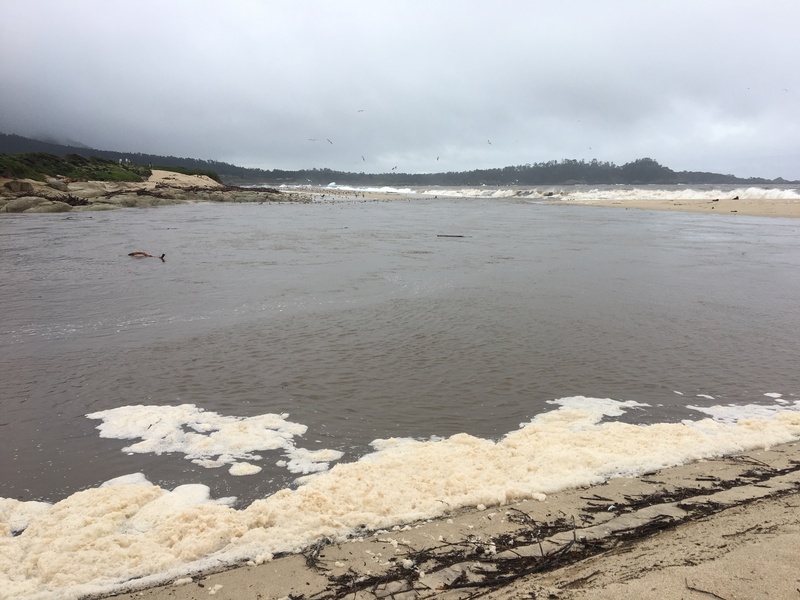 The ocean held the rising Carmel River at bay for awhile this morning, raising the lagoon to “action level,” but the river eventually prevailed and lagoon levels dropped. 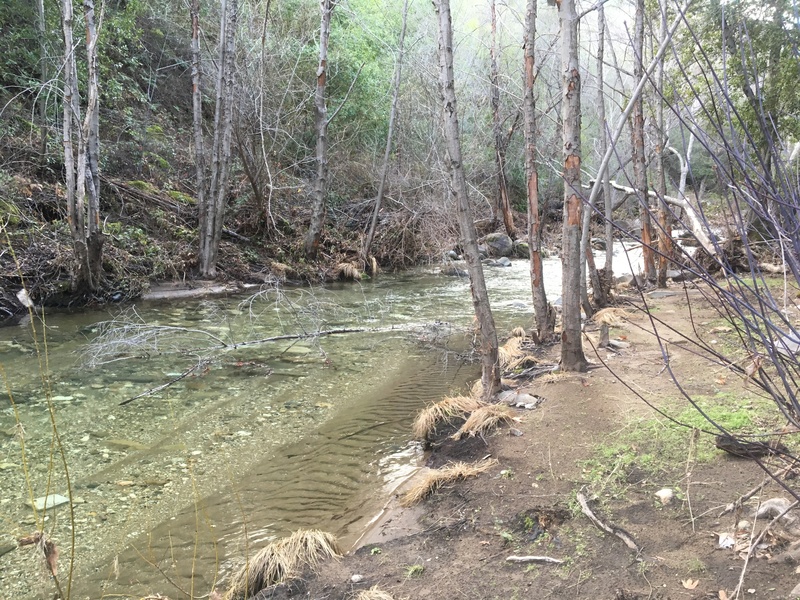 When the Carmel and Big Sur Rivers flirted with flood stage last month, it passed largely without notice. They had not been projected to rise that high and so flood alerts weren’t issued. 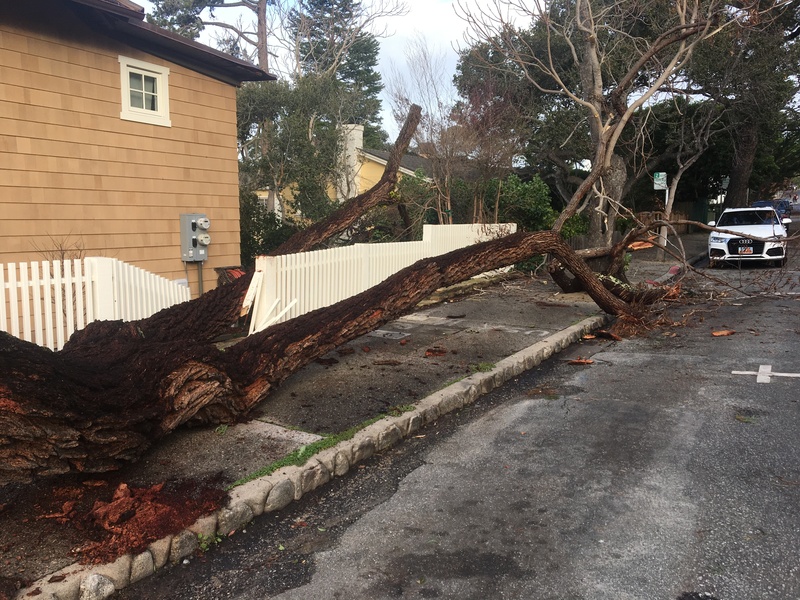 On Wednesday, January 16, 2019, wind gusting to over 50 mph brought down trees and knocked out power – especially on the Monterey Peninsula’s south-facing slopes. When ya gotta go, ya gotta go and when ya gotta go in Big Sur, finding an appropriate spot can be difficult – especially when the public is locked out of the few facilities that do exist. 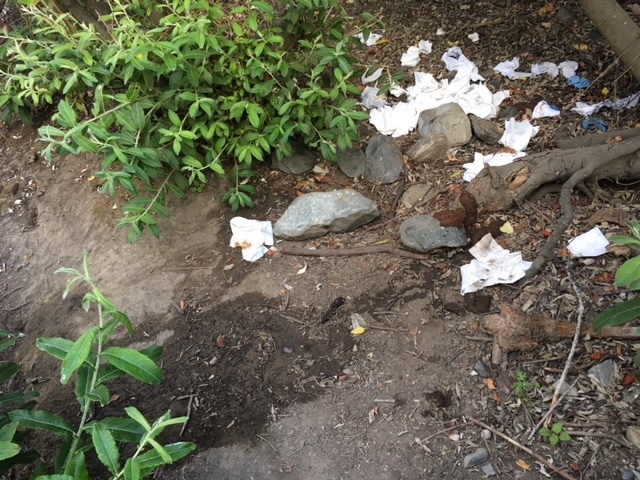 Word is that two or three restrooms on the South Coast, which means pretty much all the public restrooms on the South Coast, have been locked for several weeks now. We don’t know why, but this is the predictable result. 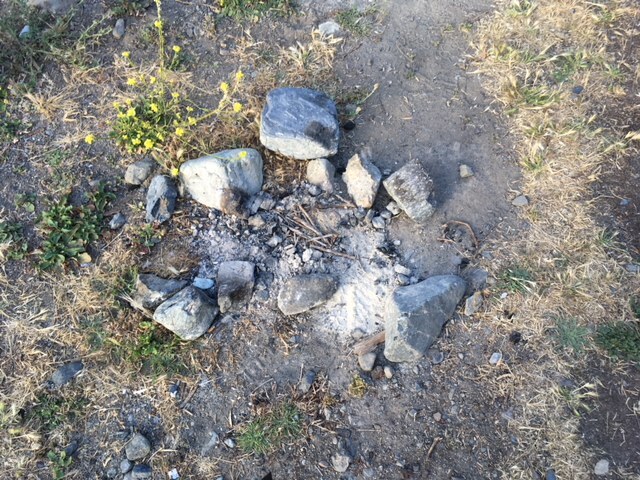 Meanwhile, illegal campfires, like this one lit directly on top of dry grass, continue to threaten new conflagrations. 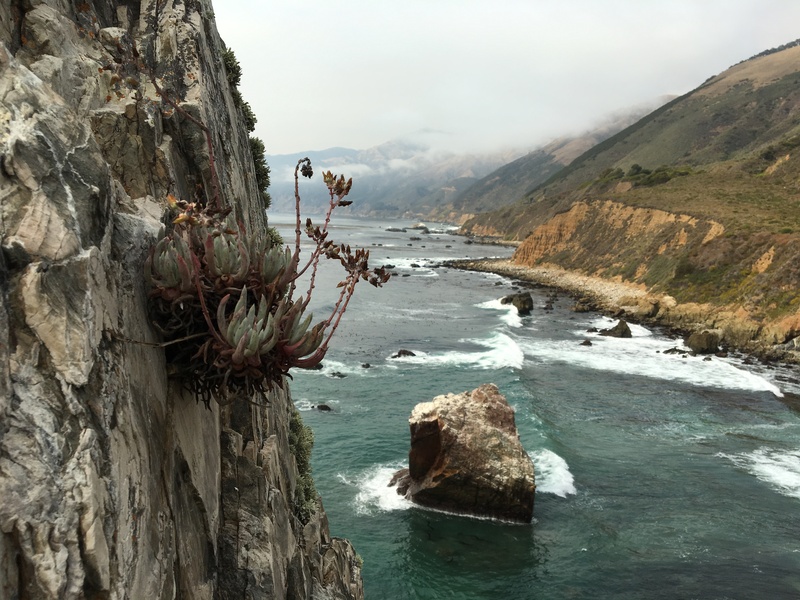 If a year ago someone had said that Dudleya poaching was about to become a problem along the California Coast, it would have been difficult to believe. But in an increasingly globalized and irrational world, we should probably not be surprised when the not-so-invisible hand of a distant market suddenly reaches out to rip a random thread from the local web of life. The rain is still falling out there, but it looks like our multi-day storm is beginning to wind down. You are currently browsing the archives for the Santa Lucias category.